Mydinnertoday owes this post to Mel who was researching Greek dessert recipes for her project and picked this one. She got the idea for adding lemon zest to the traditional Greek “rizogalo” recipe from Stelios Parliaros. Mel did a great job preparing this recipe for our guests last night who raved it about it. The lemon touch and rich creamy texture was something else and took the traditional dish several notches up. Try it! How to make: Combine the milk, heavy cream, lemon zest, and rice. Bring them to boiling temperature, lower the heat and let cook for about half an hour or until you get a nice, creamy texture. Keep stirring when it starts to thicken.Take off the heat and combine with sugar. Stir until the sugar is integrated. Stelios Parliaros recommends putting the rice pudding in a bowl and then rest this bowl in another bowl with ice. 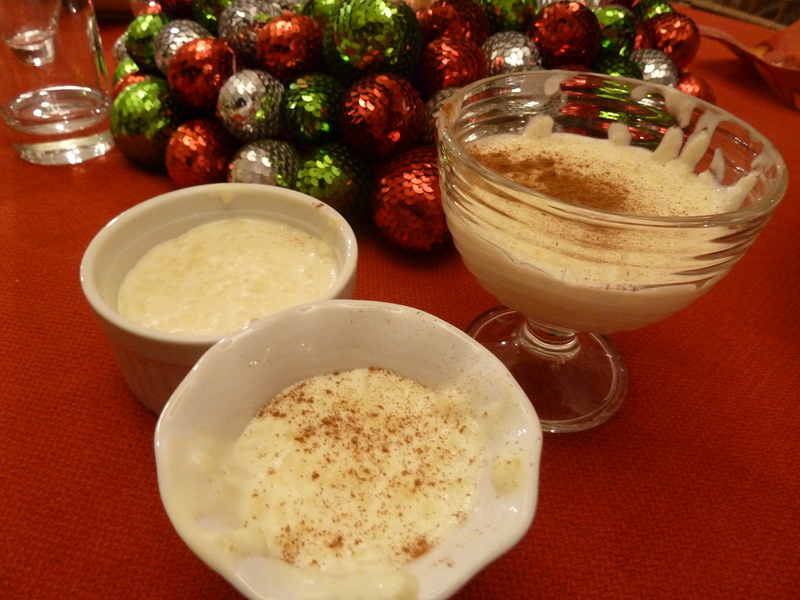 Stir the rice pudding until it cools down. This last step will improve the texture of the pudding and prevent it from acquiring a think crust on top. We skipped and it came out just as great. Serve cold as is or sprinkle with cinnamon.